Most us have one of these giant balls kicking about in our spare rooms/studios. Sadly, like the old exercise bike in the spare room relegated to live out its days as an expensive clothes hanger, stability balls usually end up rolling off into a corner to be neglected forever more. 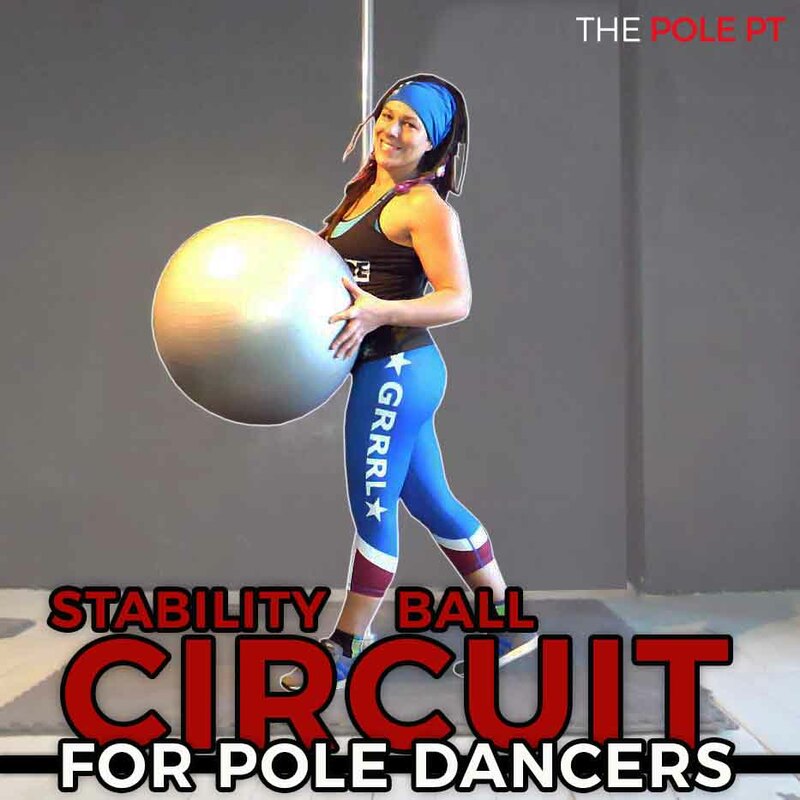 But now it’s time to dust off your ball and put it to work in this stability ball circuit designed especially for pole dancers! To progress bodyweight exercises – e.g once you’ve mastered a solid standard plank on the sturdiness of the floor, adding the wobble of the ball helps create a new challenge to overload the muscles in a different way. To specifically challenge the stabilising muscles of the shoulders and hips that we often find difficult to ‘switch on’ without the instability of the ball. When we’re rockin’ our thang on the pole, we work with A LOT of instability and forces from all directions. Ensuring we can maintain correct engagement of our core and shoulders while we move through different positions is the foundation of EVERYTHING we do in pole. 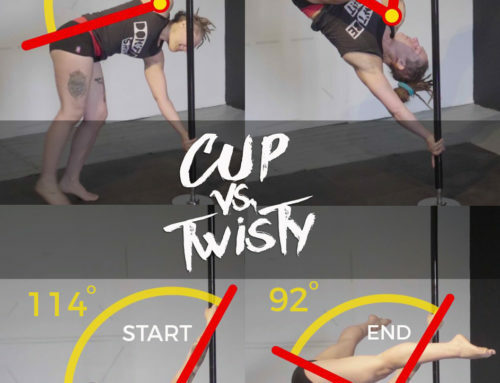 Not only will it help to prevent injury, but it will also make you a stronger pole dancer so you can keep progressing towards advanced moves. Yey! Overhead pressing – to balance out all that overhead pulling we do on the pole! Shoulder stability – the holy grail for pole dancers! 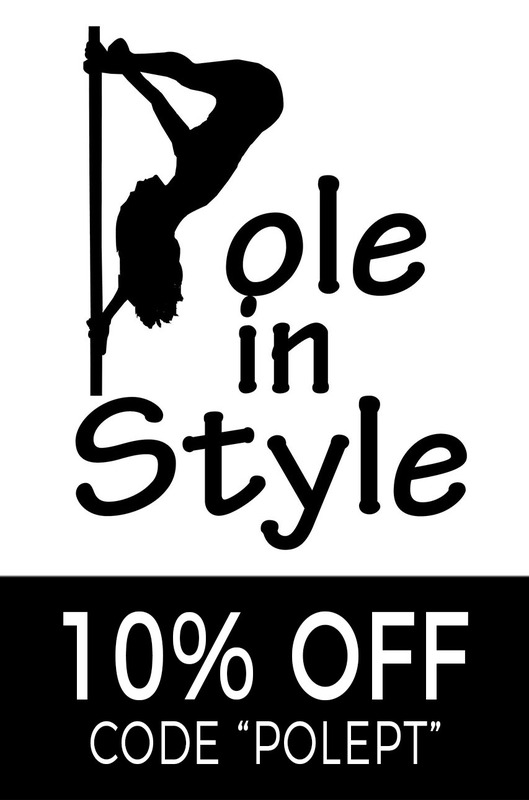 Anterior core and oblique strength – for all those isometric poses we do on the pole – Iron X, here we come! Strength in hip adduction and abduction – for the ultimate leg grip + AWESOME spreadies! Get ready – warm up! You’ll need to warm up before doing this circuit! First, spend about 5 minutes doing some light aerobic based movement – anything that will get your heart rate up will do the job: if you’re in the gym, jump on a crosstrainer or rower. If you don’t have CV equipment then skipping, jogging or dancing to your favourite song works, too. Some wrist warm up drills like wrist circles and palm lifts. Something to prepare your body for working overhead like some plank to downdog movements. Some dynamic movements to warm up the legs in both the sagittal plane like leg swings and some rotational movement – hip CARS are my fave for this! And finally, some thoracic rotational movement like these corkscrews. All set? Then let’s go! We have 6 exercises and we’ll do a set number of repetitions of each. Rest when you need to and then for 1 minute at the end of each circuit. Repeat the circuit 3 times. Why is this exercise so great for pole dancers? This fun little drill requires you to engage your core muscles at the same time as coordinating your upper body and leg movements. This is SO relatable to pole! I like to start circuits with this one because it’s a good pre-workout ‘brain-engager’ that forces you to wake up and focus on what you’re doing! A lot of people tend to ‘switch off’ when performing core exercises; this one forces you to stay alert and active. Being able to maintain a strong leg engagement, keep your toe point throughout and not end up with the ball rolling across the room requires a certain level of concentration and body awareness that all great pole dancers need. Keep legs active – squeeze everything tight! Don’t arch lower back –keep core engaged – belly button to spine! Why is this exercise so great for pole dancers? Squeezing the ball between your legs in this side plank position adds a great challenge for the muscles that create hip adduction (think squeezing your legs together to grip the pole in a pole sit position) at the same time as working and co-ordinating with our oblique strength. Getting strong in isometric side-plank positions like this is a great foundation for for your Iron X strength. Don’t let hips sink low! Why is this exercise so great for pole dancers? If you want to avoid a ball-to-the-face splat, you really can’t ‘switch off’ that strong leg engagement, not even for a second. This is a great endurance exercise that will help you to build strength at the end range of your hamstring flexibility. This is perfect if you are trying to improve your leg lines, build active flexibility for splitty moves and straight leg inverts/shoulder mounts. Don’t lose leg engagement – squeeze entire leg tight! Harder = Move further away from wall (work in your end range!)! Why is this exercise so great for pole dancers? Maintaining core stability and stable shoulders while our body is in an unstable position and our limbs are moving away from our centre of gravity is basically EVERYTHING we need to be good at to do well in pole, so I love exercises like this that force us to maintain a strong core position while adding additional movement. 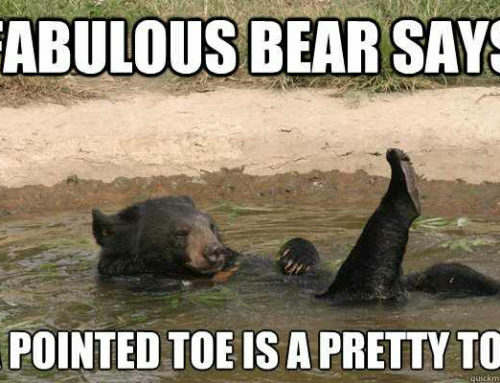 Please note that this is an advanced exercise. If you can’t do this one while keeping good form, just swap it for a basic plank without the ball and add the same leg movement to that basic floor plank if you need an extra challenge. Maintain plank position – straight line from ankles to hips, to shoulders! Screw hands into ground, engage shoulders! Don’t pike hips or arch lower back! Easier = shins on ball, or go to the floor if you can’t maintain good form! Why is this exercise so great for pole dancers? It may look simple but there is a LOT going on with this movement. We’re pushing into the ball, activating and maintaining engagement in our shoulders as we rotate the upper body. Teaching our bodies (and brains) how to maintain this shoulder engagement as we move is so important for the health of our shoulders. The movement is also a resisted thoracic rotation – we’re rotating the upperbody AGAINST the resistance of the band. Thoracic rotation is key for pole dancers for many moves, especially those that require us to wrap our torso magically around the pole like Ballerina and Allegra type positions. We are also trying to keep our hips still and maintain core engagement while all of the above is going on. 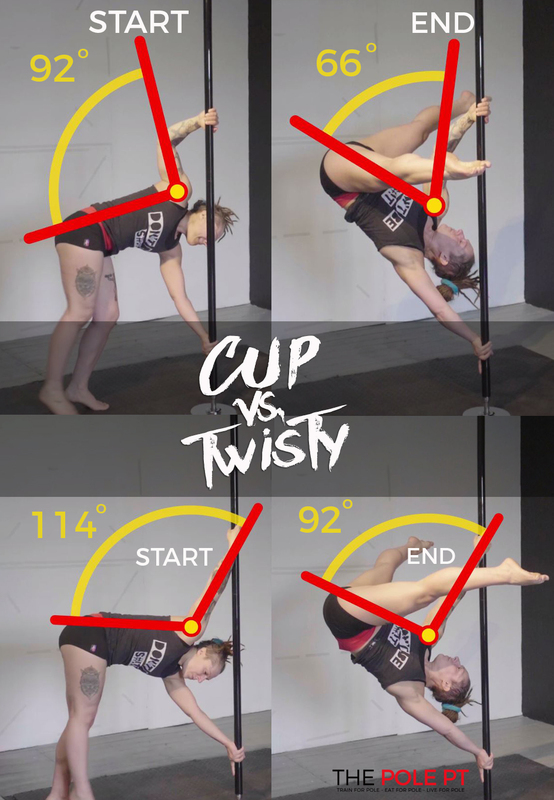 Many people struggle to disassociate the hips and upper body in rotational movements like this, but there are many moves in pole where we are forced to do it – we usually have either our legs or upper body fixed on the pole and the other half of our body performing some gravity defying contortion. It’s important that we are able to coordinate our bodies to do this OFF the pole before doing it ON the pole! Heads up! This is one of those sneaky exercises that looks easy, but done correctly, it should really feel pretty tough – especially on that third set. Phew! Maintain plank position – straight line from ankles, to hips to shoulders! Keep ‘pushing’ from shoulder to maintain active shoulder engagement, but don’t push shoulder blade into protraction! There is a lot going on with this exercise – focus on keeping your core engaged throughout! Why is this exercise so great for pole dancers? Not only does this exercise work the core strength and pike compression needed for deadlifting straight leg inverts, shoulder mounts and handstands, but it is also a really awesome overhead pressing exercise that can help towards balancing out all the overhead pulling we do on the pole. Screw into ground, engage shoulders! Start and finish in plank position – don’t dip hips or arch lower back! Push into ground as you lift hips! At the end of your workout, spend a few minutes doing some gentle movement to slowly bring your heart rate back down and then stretch all the muscle groups we’ve worked. Please remember! 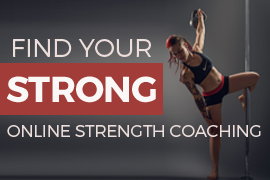 This workout is general and although the exercises have been chosen specifically for their cross-over benefits for polers, we are all different, with our own unique mobility limitations, training schedules and varying strength levels. Please strive to be aware of your limitations and to work at the level that is right for you – it’s the best way for you to progress! In particular, if you have shoulder mobility issues, are experiencing shoulder pain or have a current or past injury, this workout is probably not right for you. Please see a physio or other medical professional to make sure you are doing what’s right for YOUR body! If you enjoyed this workout, you’ll LOVE my progressive online strength programmes for pole dancers, including ‘Pole Proof Shoulders’, ‘No Kick Invert’, ‘Shoulder Mount’ and ‘Strength and Stretch for Splits’ – all provided on the Pole PT app with weekly workout schedules, new workouts each week and accountability to keep you on track! 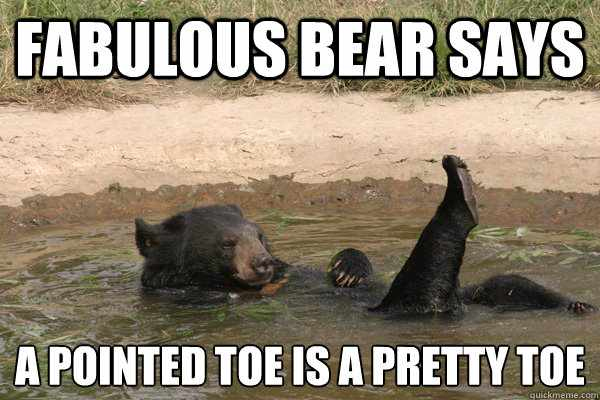 Oh my God this is so great!